Earlier this year, I attended ZEST2016 – a focused conference on digital disruption in Malta aimed at breaking borders, which discussed how digital businesses and the ICT industry are contributing to global business that transcends traditional boundaries. Besides being inspiring from a digital point of view, ZEST also tackled strategy as the key to business success. 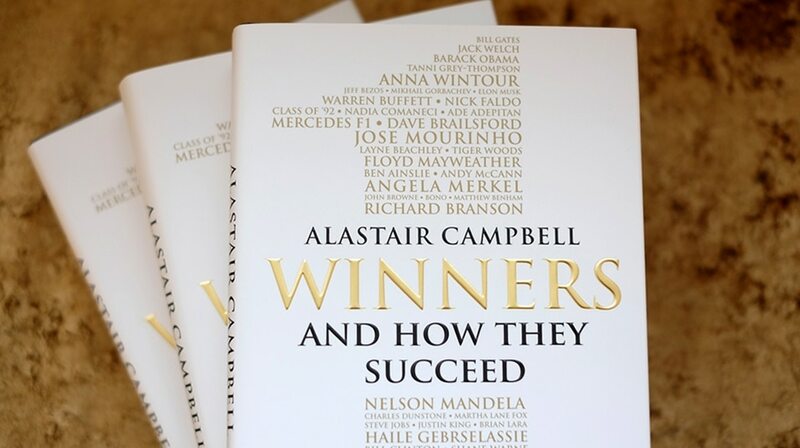 Which led me to start reading Winners – a book by Alistair Campbell, a known political and business strategist. The book brings together strategies from the world of politics, business and sport, and how people react differently or adjust to various circumstances. To me, this resonated with our business strategy, bringing together elements from the world of sport, particularly how our team comes together to deliver a client project. As we’ve been saying since Jonathan Chetcuti. and I founded the firm in 2009, the Concept Stadium is NOT an agency. When a client trusts us to help them with a particular digital / marketing activation, we sit down as a team and create a game plan and then: the writers come up with the appropriate copy, the designers start scribbling on the drawing board and the marketing team prepare for launch. I remain adamant on running and leading a team, not merely churning out work. If we do not interact together as a team, the puzzle is not complete. Winning for us is not necessarily about claiming to be the best, but being the best we can be. Campbell speaks about setting your own bar to defining success. For us, helping a client realise their brand’s goals, on budget and within the agreed-upon deadlines, in a creative yet commercially intelligent manner – is winning. Campbell lists down OST – Objectives, Strategy and Tactics as his ‘Holy Trinity’. And we made them ours! A quote that I enjoyed most is this one: “The most important quality that makes a winner is strategy. Understanding what strategy is and especially what your strategy is, and having an ability to deliver it is critical. But strategy is one of those words people use without thinking it through”.